After Team India won the World Cup, I was waiting for the “real” cricket season to commence before I re-commenced blogging! Senior players took a break from the game through lung infections and shoulder niggles. I could point to a digit that was unnaturally, yet temporarily, bent beyond the allowed 15 degrees! So, I took a break from blogging. Team India had ticked the “won the World Cup again” box. Everything else after that was mere preparation for the tipping point in what I have termed the Year of Consolidation for Team India. And that year commences now. The IPL came and went and ruined any celebration plans that either Team India or BCCI might have had subsequent to India’s World Cup victory! Some, like me, will say that this was a blessing in disguise! Thankfully, the chest-beats lasted just one week. Thanks to the onslaught of IPL-4, post-win celebrations were substantially and significantly minimal in India; this at a time when the English are still celebrating the Ashes victory some 6 months later! After an ODI series against the Windies, Team India is now in the midst of a low-key Test series against West Indies. The last Test commences today. But these ODIs and Test matches have been good preparation for the home run in the year of consolidation for Team India. We are at an interesting tipping point. History will perhaps see 2001 as the year it all started for Team India. The team, through its inspirational leader, Saurav Ganguly, developed self-belief. The team knew that it had to win — and win overseas. It did. Slowly at first, like a child learning to walk. Winning overseas soon became a habit! Along the way, the team recorded a few good victories: Kolkata 2001 (v Australia), Leeds 2002 (v England), Adelaide 2003 (v Australia), Multan 2004 (v Pakistan), Sabina Park 2006 (v West Indies), Johannesburg 2006 (v South Africa), Perth 2008 (v Australia), Mohali 2008 (v Australia) and Mohali 2010 (v Australia), being some of the more memorable and important victories. The doubters said Indians could not cope with the short ball. At the start of every series, we hear the same strategies being mapped: chin music. It is almost as if there are no other strategies to combat the strong Indian batting line-up! When India toured Australia in 2003 and we heard of “chin music” for the first time, a friend’s 10-year old said, “Let them talk about chin music, we can talk about Sa-chin music”. Today, every team is still focuses on chin music. Get over it, already! Other doubters said that India could not win overseas. India has. Consistently. 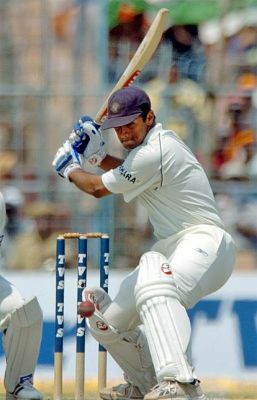 Many other doubters said that India did not have the bench strength to overcome the departure of the backbone of the team: Tendulkar, Dravid, Laxman, Kumble, Ganguly. Today, the last two have departed. Through a mixture of chance, design and the incredible longevity of Tendulkar, Dravid and Laxman, India appears to be managing the transition. These doubts are being answered. Slowly. Today, the team has bench strength that is the envy of the world. Unlike Australia, who lost her best players inside a year, India’s retirements have been managed well so far. Australia assumed that her tough local competition would continue to routinely throw up talent that is good enough to take on the world. Australia did not blood her future torch-bearers and replacements in a phased manner. Australia waited for the legends to retire and was then found out. Through a combination of good fortune and design, India has taken an alternative route. Today, Anil Kumble and Saurav Ganguly have departed. But their loss is not yet being felt in a manner that is acutely hurtful. Tendulkar, Dravid and Laxman and other contemporary senior members are still there to ensure that the baby is not thrown out with the bath water. Now, we have reached an important point in the journey. Team India has had an exciting 10-year journey up until now. The team now stands on the cusp of a watershed moment. The team has self-belief now. It has the talent. It has the personnel. Through injury management and rest management, the team has ensured that even after the feverish and intense IPL, the team is fit and able to take on a strong England in England in Tests. Sachin Tendulkar, Zaheer Khan, Yuvraj Singh, Gautam Gambhir, Virender Sehwag and Sreesanth were rested to ensure that the team has fresh legs available to take on a significant challenge. And that really is the key to building bench-strength. Young players need to be provided opportunities to face the heat in tough/alien conditions. That has happened. While Abhinav Mukund, Murali Vijay, Virat Kohli and Abhimanyu Mithun have not yet set the world alight with their performances, they will have benefited hugely from this outing in West Indies. Rahul Dravid said recently that the conditions the team encountered in the West Indies have been the toughest he has experienced in a long time. Of the batsmen, only Rahul Dravid, VVS Laxman and Suresh Raina (to a lesser extent) have emerged with their reputations enhanced. But we cannot be arrogant like the Australians were when they were preparing for their future. In my view, much like the cricket that the team played at that time, Australia went about her preparation for her senior players’ eventual departure in an arrogant manner. Australia used and discarded players like Matthew Elliot, Brad Hodge, Jason Krejza, Stuart McGill, Chris Rogers, et al. These players were put through a revolving door and spun in and out of the team. It was all good while the team was successful. The theory was that the Sheffeld Shield was so strong that it would always throw up the right player when the right moment came along. This was a principle built on a foundation of arrogance. Even if we think that the Ranji Trophy is good at identifying and testing talent in tough conditions (and let us admit, it is not!) India cannot afford to take on the attitudes that Australia adopted. We cannot adopt a use-once-and-discard policy. If players like Abhinav Mukund, M. Vijay, Virat Kohli, Suresh Raina, Rohit Sharma, Abhimanyu Mithun, et al, are players that we identify for a strong future, we need to be patient with their failures in order that we reap the benefits of their potential future success. Team India, as I said before, is at a tipping point. Winning, which has now become possible, must become a habit. The ingredients for this phase change are self-belief, talent-nurturing and ruthlessness on the field. The availability of talent must be a given in this journey. This needs to be nurtured. And this necessarily means that we — the fans — must learn to be patient. As I keep saying, if you want to see a collection of sacks, visit a mill or a godown! If we cannot learn to be patient when the team is winning, we have Buckley’s chance in Hell of being patient when we start to lose! Talent-nurturing cannot turn to talent-nutering! Finally, the team must learn to win clutch situations. The journey in this, the year of consolidation, commences with India meeting England in England and Australia in Australia. Yes! India did beat England the last time she visited that country. But she did not play like a champion team would. India did not press for a win at The Oval. India did not have that ruthless edge that Steve Waugh’s Australia had. India did not overcome a clutch situation. Indeed, India avoided the clutch situation totally! And India is yet to win a series in Australia.